So, there are some articles on some news websites that make the sensational claim that I, the author of Virginia Barbecue: A History, make the case in that book that North Carolina kidnapped or stole barbecue from Virginia. One North Carolina newspaper even put the story in the crime section of their website. One paper asks, "Did North Carolina steal barbecue from Virginia?" 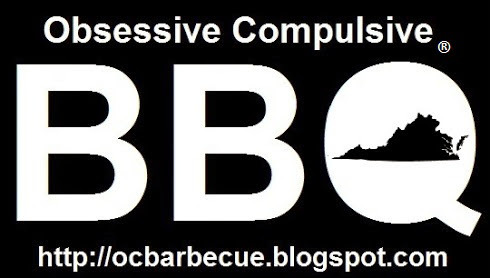 Another newspaper writes, "'North Carolina kidnapped Virginia barbecue': Author asserts the delicacy started in the commonwealth." First of all, let me make it perfectly clear. 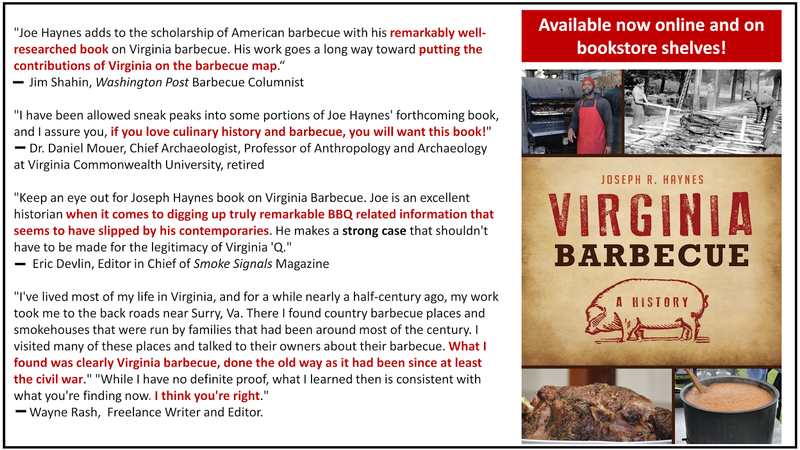 I do not argue, insinuate, imply or assert that North Carolina stole or kidnapped barbecue from Virginia in the book! "A quick survey of barbecue houses locally might convince you that 'North Carolina-style' barbecue has not only crossed the state line, but kidnapped the market as well." So, let's set the record straight. 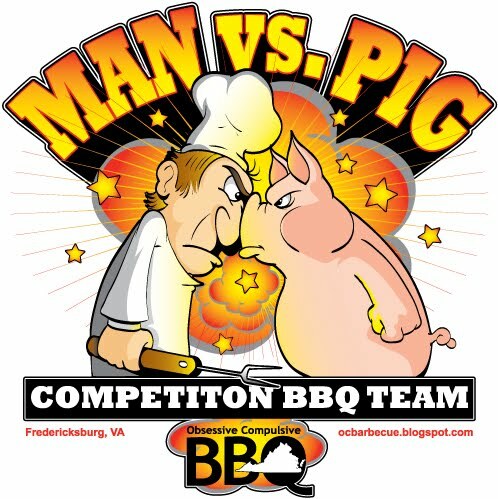 I did not make any claim, assertion, argument or insinuation that North Carolina stole or kidnapped barbecue from Virginia. Yes, southern barbecue was born in Virginia and eventually made its way into what is today North Carolina from there. However, that was simply a migration, not a crime. The word kidnapped was in the book from a quote made in 1978 about the proliferation of North Carolina-style barbecue restaurants popping up in Richmond, Virginia, at that time. The person who wrote the quote was simply making a point about the number of North Carolina-style barbecue restaurants that existed in Richmond in 1978. That's it. And, as Paul Harvey used to say, that's the rest of the story. You can purchase the book at online booksellers and local bookstores. Looking forward to the read. Keep up the good work! Thanks, Maistre! I hope you enjoy reading it. The Correct Answer is . . . Barbecue!